Wishing Well Pictures is an independently owned and operated entertainment production and distribution company based in Los Angeles. 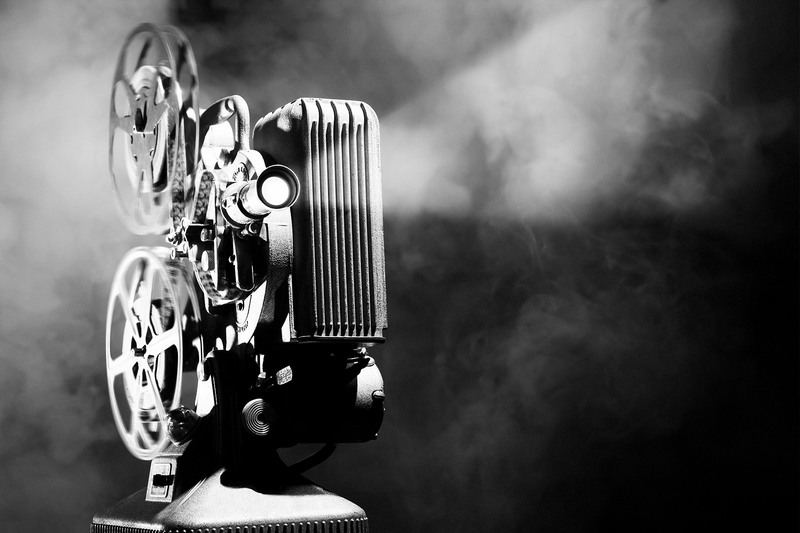 They develop, produce and distribute various forms of entertainment including motion pictures, music, and books. We Design LA was tasked to bring this range on entertainment and allow people to digitally buy, rent and view these form via the company’s website, bypassing fees and limitations put on by iTunes, Google, and Amazon. 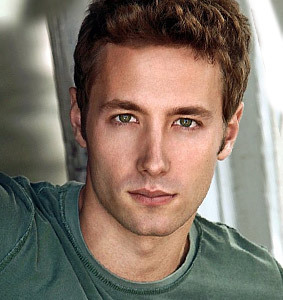 In 2006, Kent Moran moved to New York City to pursue acting and music professionally. 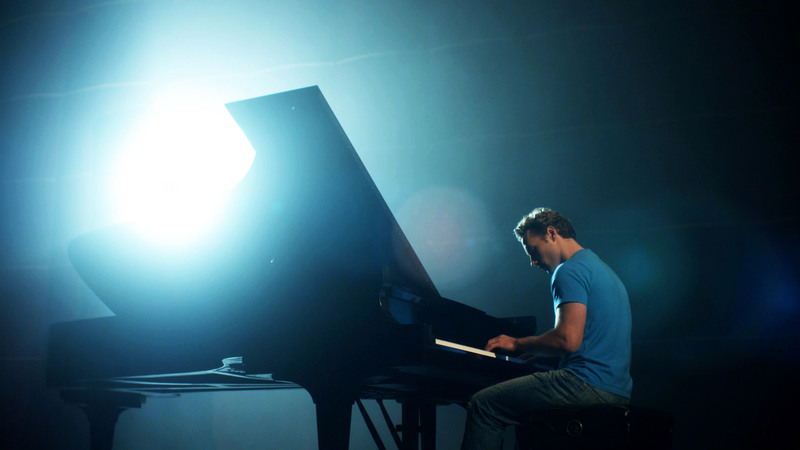 After years as a singer/songwriter and actor in several commercials and short films, he decided to move to Los Angeles to take his film career to the next level. In 2008, after the writer’s strike, Moran started Wishing Well Pictures, an independent film production company. Soon after, he wrote Listen to Your Heart, which became Wishing Well Pictures’ debut film. It was also Moran’s debut starring role in a movie and his first time as a producer and second unit director. Moran also wrote the original music and score for the movie which can be found on the soundtrack. Listen to Your Heart became one of the first movies ever to screen outside in the middle of Times Square as part of the New York City International Film Festival, where Moran was nominated for Best Actor. Listen to Your Heart went on to win fifteen awards at film festivals across the country and was distributed through Warner Brothers, Gravitas Ventures, and Osiris Entertainment. Moran wrote and directed several short films in between his features. In 2011, Moran was cast in one of the lead roles in Regret, a psychological thriller shot in Portugal. Kent is now in production on The Challenger, where he stars opposite Michael Clarke Duncan, S. Epatha Merkerson, Justin Hartley and Ernie Sabella. Wishing Well Pictures is developing its next features while Kent continues to work as a film actor. As a full-fledged production company, Wishing Well Pictures aimed to rebrand and differentiate themselves within the highly saturated Los Angeles film industry. Riding on the coattails of a successful award-winning feature film, Listen to Your Heart, Wishing Well wanted to stay at the forefront of the blossoming indie film world and make their films not only highly accessible but also incredibly interactive. This is where having a dynamic website came into play and we stepped in to make their vision happen. 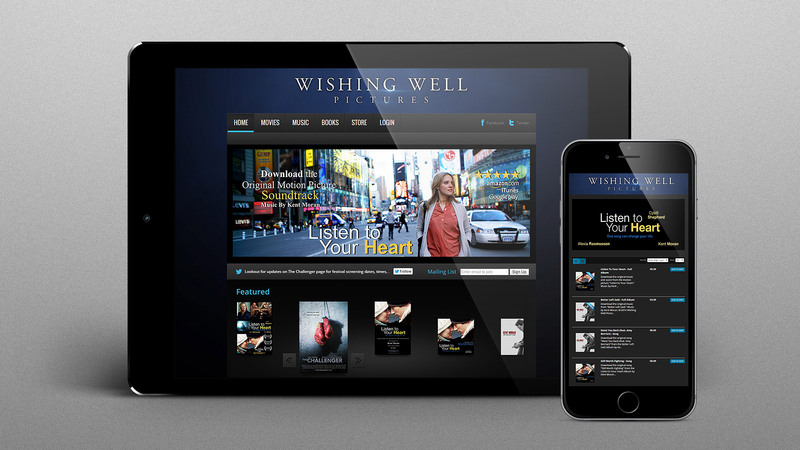 We Design LA designed and launched a new and improved site for Wishing Well Pictures. This dynamic ecommerce site allows fans to buy or rent movies, music sheets, books and more through a responsive Netflix-like streaming platform. For any given company, the homepage is its virtual front door. If a new visitor doesn’t like what they see, their knee-jerk reaction is to hit the “back” button. That’s why we designed the homepage to not only be easy to navigate and well designed, but also practical. We made it so the visitor can identify within seconds what it is they can do on the site which keeps them around longer. We wanted to create a powerful site that resonated with the fans and audience of Moran’s films, so we eliminated the fluff instead communicating a compelling value proposition. The goal of the site was also to compel visitors to dig deeper and move them further down the funnel, especially since the site offers so much more than just the opportunity to view the films. To do so, we optimized it for multi-device usability, designed it in a way that communicates value, overall employed great design. In addition to the site, we created custom graphics, calls-to-action, logo design, as well as detailed analytics tracking as a way to always keep visitors engaged and learn what makes them want to return. I felt good going into the project with We Design LA, but felt even better after. I think we got a lot of value out of this project and the new site We Design LA designed has definitely been a nice, positive contribution to our business. I love the design of the site and it really fits within our brand. The most valuable thing to me was how much time and consideration was put forth by the We Design LA team to deliver the exact product I was looking for. They went above and beyond for Wishing Well Pictures. Overall, our new website has had a positive effect on our business and brand.